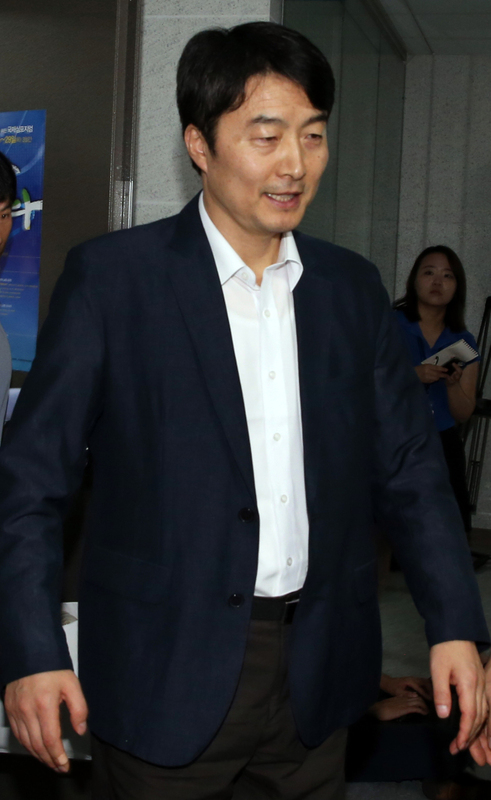 The Suwon District Court on Friday gave a green light to prosecutors to detain leftist lawmaker Lee Seok-ki by asking them to bring written parliamentary approval in the burgeoning probe on him and his associates charged with plotting an armed revolt. The prosecutors will be seeking parliamentary consent to detain Lee of the Unified Progressive Party through the Justice Ministry, which will first seek approval from the Cabinet meeting and President Park Geun-hye in the next week. Observers said the speedy process will leave the political parties the hefty task of positioning their stances and gathering for the vote in the unprecedented investigation into an incumbent lawmaker on charges of plotting to overthrow the government. The Assembly is currently deadlocked due to wrangling over NIS reform. Once the motion for detainment is submitted to the National Assembly’s plenary session, the members must vote on it in 24-72 hours. If the majority of the attending lawmakers approve the detainment, Lee will be obliged to appear before the court for review of his arrest. Later in the evening, Rep. Lee denied the existence of alleged revolt plot transcript and refused to step down from his Assembly seat. Lee told reporters that the prosecution’s accusations that he plotted a rebellion to help North Korea in the event of an inter-Korean war were groundless. Earlier in the day, the NIS searched former UPP spokesperson Woo Wi-young’s one-room studio near Yeouido, western Seoul, as part of its investigation into the allegations of plotting the revolt. After gathering evidence for a second day, the agency wrapped up its raid on Lee’s office in the morning. Meanwhile, the Suwon court questioned three other UPP members, charged with plotting the revolt with Lee, to determine whether to approve their arrest. They were Hong Soon-seok, the deputy chief of the UPP’s Gyeonggi Province branch; Han Dong-geun, the chief of the party’s Suwon office; and Lee Sang-ho, an adviser to a progressive group based in Gyeonggi Province. The UPP scandal broke on Wednesday when NIS agents raided the homes and offices of Lee and nine other UPP members on suspicion of plotting a rebellion via secret organization operation. Controversy escalated upon the release by some local media of the alleged transcript of clandestine meetings of the “revolutionary organization,” an underground leftist group allegedly led by Lee. The reports said Lee and three other associates were heard sharing the need to prepare for a “political and military” war in response to a possible contingency on the peninsula. The reports also claimed the group discussed details of how to make preparations to strike the South Korean government and the U.S. military, such as by incapacitating Internet networks and infrastructure for oil and gas supplies and other major logistical facilities in the Seoul area, in case of another war. Debate is also rampant over whether the suspicions against Lee are chargeable. Legal experts said it would be important to secure substantive personal or material evidence to prove Lee’s connection or direct contact with North Korea. “The NIS presented the transcripts of a meeting of a UPP regional chapter where Lee was invited as a lecturer,” UPP spokesman Hong Sung-kyu said. “The NIS took issue with the remarks by some of the participants there and did not present any piece of evidence whatsoever for the charges of conspiring a rebellion,” Hong told reporters. He said the party will take legal measures against the NIS and the media for leaking and publicizing the suspicions. The NIS has reportedly been conducting wide-ranging surveillance of the revolutionary organization’s activities since 2010 with search and arrest warrants it has secured from the judiciary. 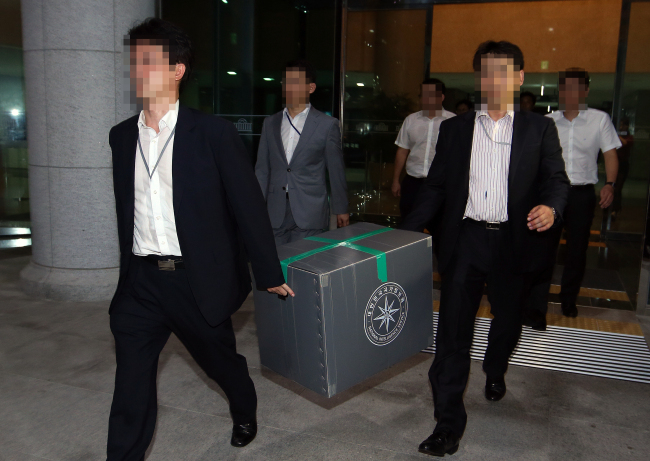 To back up its charges, the NIS has also been tracking bank records of Lee and his close associates to see if they had any links with North Korea. It is also looking into the possibility that some of the organization’s members contacted North Korean officials in China.